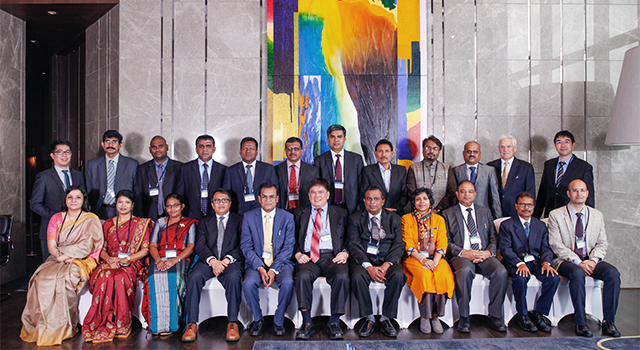 The Meeting of Bangladesh, Bhutan, India, and Nepal (BBIN) Transport Secretaries on Regional Road Transport Connectivity (the Meeting) was held in Kolkata, India on 2-3 February 2015 attended by Secretaries of Transport of Bangladesh, Bhutan, India, and Nepal. The Meeting facilitated discussions among senior officials of the four SASEC member countries to finalize the draft BBIN Motor Vehicles Agreement (MVA), a transport facilitation framework that aims to enhance road connectivity in the subregion by allowing passenger, personal, and cargo vehicles to cross international borders and travel along designated key trade routes in the four countries. Review of possible future priority SASEC road projects in the BBIN subregion. Recommended possible institutional structures for monitoring implementation of the MVA, including (i) establishment of national committees in each of the four countries that will coordinate, implement, and monitor the MVA, and (ii) establishment of a subregional joint committee that will allow the national committees to coordinate with other countries in the subregion, and with other agencies as necessary. It was also agreed, in the interim, for ADB to continue its function as interim coordinator, and to provide technical and financial support. 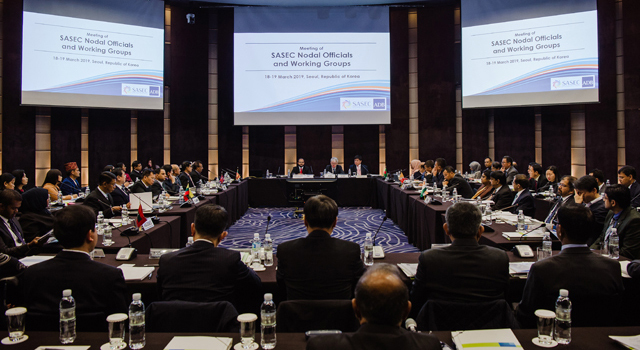 The delegations also brainstormed on possible future subregional road projects in the BBIN countries that build on progress made under the ADB-supported SASEC program using guidelines from the SASEC Trade Facilitation and Transport Working Group. 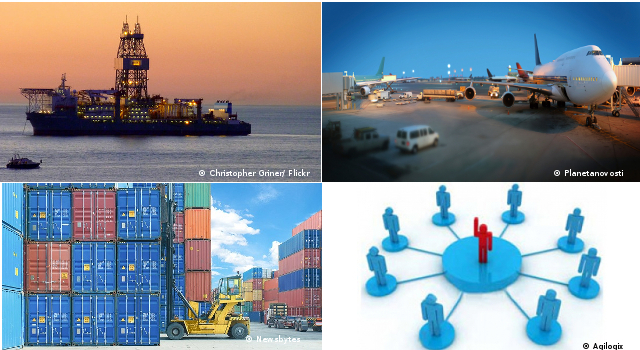 These prospective projects would (i) emphasize multi- and intermodality, (ii) complete missing transport links, (iii) build on progress achieved in the development of SAARC corridors and their 'last mile' connectivity, and (iv) highlight sections of corridors with the potential to generate additional intra-subregional and external trade. 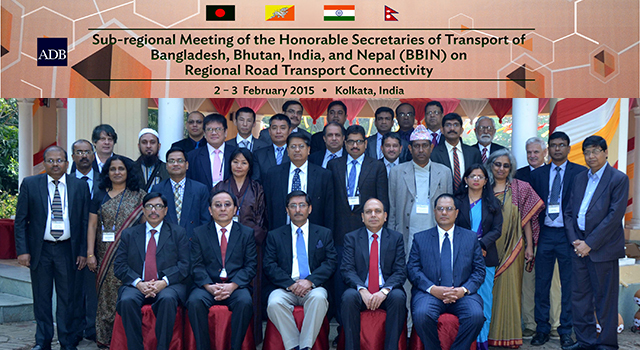 The Meeting was organized by the Ministry of Road Transport and Highways, Government of India (GoI). Mr. Vijay Chhibber, Secretary of the Ministry of Road Transport and Highways, GoI, chaired the Meeting. Heading the delegation of Bangladesh, Bhutan, India, and Nepal were: Mr. Md. Faruque Jalil, Additional Secretary of the Ministry of Road Transport and Bridges of Bangladesh; Dasho Kinley Dorji, Secretary of the Ministry of Information and Communications of Bhutan; Shri Sanjay Bandopadhyaya, Joint Secretary of the Ministry of Road Transport and Highways of India; and Shri Devendra Karki, Joint Secretary of the Ministry of Physical Infrastructure and Transport of Nepal. The Meeting was supported by staff and consultants of ADB.